If you have ever tried loading a motorcycle or automobile onto a trailer that’s already hitched to a tow vehicle, you know how difficult it can be. Especially problematic is loading a vehicle with minimal ground clearance, where the risk of serious undercarriage or body damage exists. 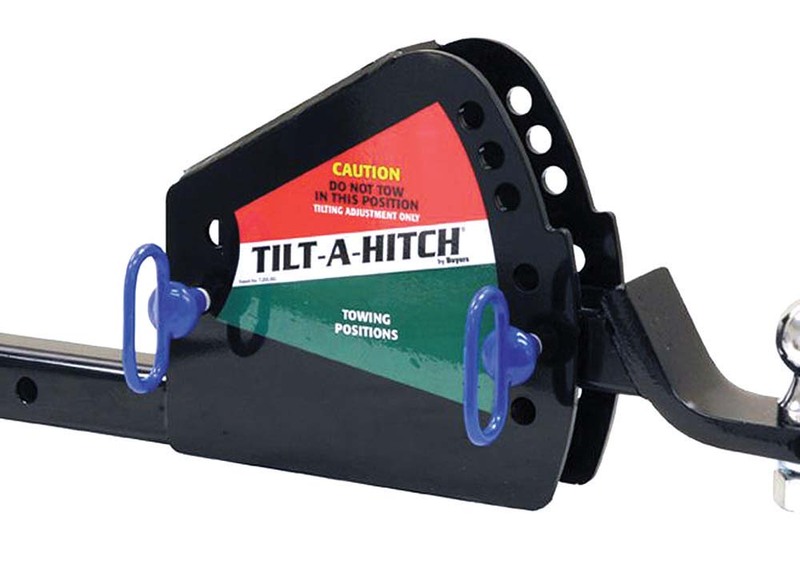 The multi-adjustable Tilt-A-Hitch mounts to a standard two-inch receiver and can handle up to 10,000 pounds of trailer weight. It can be adjusted to different angles, it works with or without ramps, and can also function as a load-leveling hitch by connecting it upside down. The 26-pound unit is made of quarter-inch steel plate and comes in black (other colors available by special order). Get one for $160 from the manufacturer at www.tiltahitch.com.